As Vice President of Acquisitions, Jim is responsible for the sourcing, evaluation and execution of Brixton Capital investments. His duties include oversight of and coordination of the firm’s acquisitions, dispositions as well oversight of the acquisitions team. Most recently, Jim was Vice President of Acquisitions and Investment Management at Monday Properties, and owner and operator of commercial real estate. While at Monday Properties, Jim played a critical role in the launch of the firm’s Los Angeles office, where he was responsible for sourcing, evaluating and capitalizing the firm’s West Coast investments and overseeing the successful implementation of the firm’s investment strategies and the operations of its Southern California properties. 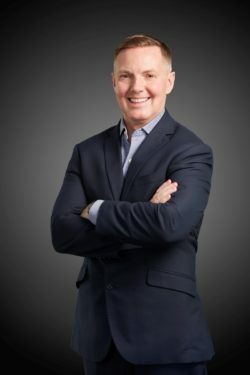 Prior to joining Monday Properties, Jim was the Founder and Principal of CityWest Advisors, LLC, a commercial real estate investment and finance firm, specializing in investing and operating office properties in Southern California as well as providing investment and capital markets advisory services to clients seeking to acquire, develop and finance commercial real estate projects. Jim is a combat veteran of the United States Marine Corps, where he served as a Platoon Commander during Operation Desert Storm. Jim is a graduate of Pennsylvania State University, where he majored in Economics and Finance. He is a Chartered Financial Analyst (CFA) as well as a member of NAIOP San Diego.